I’m tired of hearing several times a week from people I know, or come across, the “too” word when it comes to exercise! I’m sure you hear it as well from your co-workers, neighbors, parents or grandparents. “I’m too old to lift weights, or my knees are too sore to walk, run, ski or fill in the ______. It pains me to hear folks say “I’m in too much pain to do this or do that. Too heavy, too weak, too busy…blah, blah, blah. Hey if your feeling pain, at least you’re alive! But who wants to live that way? Obesity, back pain, hip and shoulder issues have reached epidemic proportions in today’s America. Americans, simply put have become a nation of overweight and out of shape organisms living in pain and agony with a ticking time bomb behind their breast pocket ready to blow at the event of a sudden exertion. Am I calling out everyone? Of course not! There are still plenty of folks who care about their health and welfare. However, the ranks of non-movers grows greater every year and it’s not just the aging Baby Boomers – but Gen X, Gen Y and Millennials as well. As a nation we have become lazy, overweight and lethargic. We may have developed the strongest thumbs in the world from texting and operating TV remotes, but our fight or flight mechanisms are markedly diminished. Tomorrow I will happily celebrate my 69th birthday. 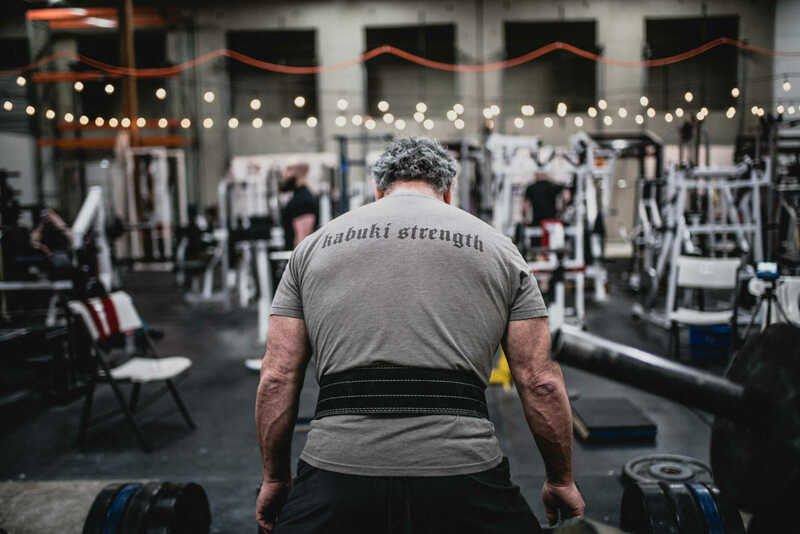 I say happily because even at this age I remain relatively healthy, focused and motivated to compete at the highest levels of my sport: powerlifting. 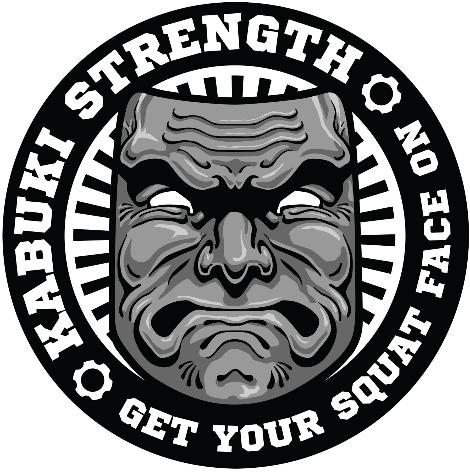 Even after undergoing two shoulder replacement surgeries to rid my glenohumeral joints of osteoarthritis, I continue my passion of lifting heavy weights along with my training partners at the Kabuki Strength Lab. Most of my training partners are 10 to 50 years younger than me. This is worth noting if only for the fact that I have not always lifted weights. I started this journey of powerlifting when I was 55, an age when many people have resigned themselves to the couch. In fact, I had gotten so caught up in my career and family-raising that I was too busy and had too many obligations to dedicate time to physical fitness. Yes, I made excuses just as so many others do today. It wasn’t until I found myself in the office of a physical therapist for rehab from a “weekend warrior” injury that I realized I was there because I wasn’t in shape enough to safely perform the activities I did when I was younger. I didn’t want to give up skiing or water-skiing because I was too old or out of shape to do so. As part of the rehab work, I began lifting weights after my PT sessions twice a week and within 8 weeks my shoulder had improved but I also found that my strength and stamina had improved, and my body began to lean out and my physique altered to the point where others started noticing. “Have you been working out?” was a question that I was starting to hear from my friends, family and co-workers. That question, of course, massaged my ego and further motivated me to continue to train. Just a year later I decided to compete in a powerlifting meet and had immediate success, setting four state records. The point is, it doesn’t take long to see results if you come up with a plan to exercise on a regular basis. The human body is an amazing machine that will adapt itself to a training load – whether it is aerobic or anaerobic – within 6-8 weeks. If you will just commit yourself to the first eight weeks you may find yourself perpetuating a habitual training regimen that will improve your health, your energy and your mortality. You might start with just walking or riding a bike for short distances or using your body weight to squat, lunge or pull yourself up but you will quickly progress from walking to running or longer bike rides or progressively increased resistance training. If you do this a minimum of 3-4 times a week, you will soon have people asking you, “have you lost weight”? or “have you been working out?” That feedback will help you sustain your training regimen and make this a habit for life. In addition to exercise, of course, adding other healthy habits to your daily routine such smart eating choices and quality sleep, will improve and hasten your results. So what are you waiting for? Don’t be that person who is too this or too that to live a long, healthy, pain-free life. The old saying is “Use it or lose it”! Nowhere does this apply more than to the human being. No more excuses…it’s never too late to start. I am living, breathing proof of that reality.